Quick and easy way to clean up while you're sanding, buffing and polishing around the shop . Works great on paint, glass, and chrome. Spray on the surface and wipe off with a soft, clean, dry cloth. Silicone free, so you don't have to worry about contaminating your paint spray area. Excellent lubricant for clay bars, HD NANO PREP clay towels, or HD NANO PAD. 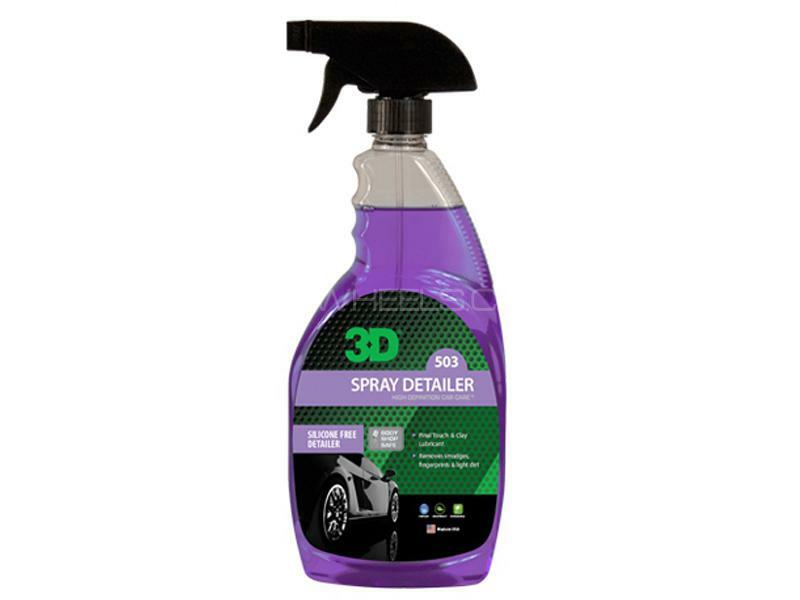 Hi, I am interested in your auto part "3D Spray Detailor 24oz - 503" advertised on PakWheels.com. Please let me know if it's still available. Thanks.